Take Out Menu Call in your order! We are updating our site. Prices are subject to change. TripAdvisory.comRay's Cafe & Tea House is getting rave reviews on TripAdvisor, the world's largest travel site..
Philadelphia, PAThis is not your typical Chinatown restaurant. If you are looking for MSG, greasy standards, you are at the wrong place. Ray's is a cozy cafe that I visit at least once a week. They serve a variety of dishes in REASONABLE portions. The lady that works there is so nice, and ensures that when I go with my boyfriend he gets the masculine blue dishes, while I get the flowery feminine dishes. It's the details like that that make Ray's my favorite place to go. Philadelphia, PAI thought that I knew amazing Chinese restaurants. I thought I knew the coffeehouses that used the best preparation methods. And I thought that I would never see a Chinese restaurant combined with a coffeehouse vibe that could actually be good. But one stop here for lunch has single handedly taught me otherwise. I met up with Eric F. and Aaron O. for some lunch and I can honestly say that it was an one of the most uplifting experiences in coffee drinking that I've ever had. I was tempted to go for all and try the Jamaican Blue Mountain, but just saying Brazilian Bourbon Santos rolled off my tongue and into my tastebuds, so it was an easy sale. It was easily the strongest yet smoothest cup I've ever had, and the tray and cup, and delicious butter cookie that it came with would make any tea set collector jealous. and lets just say that siphoning system is a sight that you need to see for yourself. The food is delicious in it's own right too. I went with the chow fun fried rice which was ripe with chicken, shrimp, egg, onion, and peas (pork for you if you want it but none for me.). The service was also perfect in every detail, especially when they bought out the complimentary fruit at the end. I'm sold! I head to Ray's whenever I'm in Philly for an out of the ordinary coffee and food experience. Try the dumpling sampler or one of the specials. The Iced Coffee is outstanding. If you're bored with the assembly line service and generic treats at Starbucks head to Rays. Philadelphia, PAtwo words: coffee and dumplings. It does not get any better. Coffee is made drop by drop and worth the wait and the price. The dumplings are like little pillows of heaven, try the shrimp and the vegetarian, and go ahead and get them pan fried. Crescent City, CASpectacular coffee made through a "24-hour drip" process. A must-try for coffee lovers. Philadelphia, PAHas there been a place that you find completely amazing, yet few people know of...so it feels almost like your own special secret? This is how Ray's feels to me. Few times have I visited while other people were there. I feel like its location amidst the sea of thousands of Chinese food restaurants in Chinatown has kept it a secret. 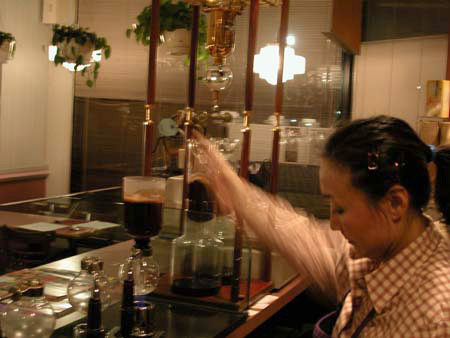 I love coffee...and thought I was well-versed and somewhat of a connoisseur, yet I knew nothing of the siphon coffee they prepare at Ray's. They have a bunch of specialty blends (like the $8.50/cup Jamaican Blue Mt), and also a bunch of their own blends (like the "Philadelphia" and "New York" blends). Each coffee on the menu highlights a different attribute in the bean/blend (acidity, smoothness...) so there is something for everyone! So here's the process: A specific amount of the whole bean of the blend/bean of your choice is weighed out, then ground, and placed in what looks like a vacuum filter from a chemistry lab. A flask with water is then placed over a flame with the vacuum filter (containing the coffee) placed on top of it. When the water in the flask boils it travels up into the filter, mixing with the coffee. They stir with what looks like a paintbrush, and when the flame is turned off the now-brewed coffee travels back down into the flask! It's about a 5 minute affair, and what comes out is perfection. Served in a beautiful cup, with a tiny pail of heavy cream and delicious cookie, it is heaven. You can buy the coffee beans there too, and I would insanely recommend buying the Ray's House blend. It is easily one of the most delicious coffees. It is extremely fragrant but delicate, and has good hints of caramel and hazelnut. Seriously amazing, I would actually prefer their blend to the Jamaican Blue Mountain! I WORK in a coffee place and am heading there tomorrow to buy a bag-o-beans! Philadelphia, PAGreat little family run coffee house with nice food. Williamstown, NJ Love the dumpling sampler with two dipping choices and the chicken asparagus soup for my favorite lunch. Grace the owner/hostess is lovely. her name fits her. the food is consistently good and the coffee is good and strong. Ann Arbor, MIWho knew that a coffee shop would have the best Chinese food in Chinatown? Consistently excellent food. 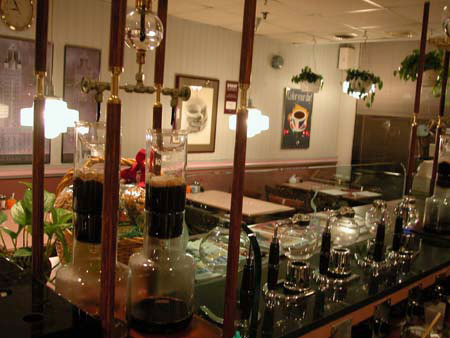 Try the siphon coffee and desserts. 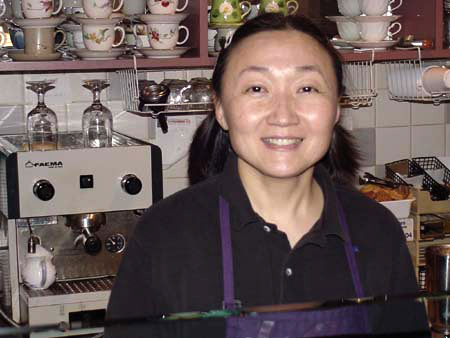 Bryn Mawr, PA Always fun - great Taiwanese food, GREAT coffee (especially if she makes the tapioca pearls), service is great. Cozy place for rendezvous in Chinatown, without the Chinatown atmosphere. Texas We had their Ice tea to drink. It tasted creamy, a nice surprise and relaxing after walking the city all morning. Then followed with shrimp spring rolls & vegetarian hot sour soup. The spring rolls were served on an Asian styled porcelain tray with it's own sauce well. Very stylish.They were crispy and light the best I've ever tasted anywhere. The soup was good too. The entrees followed. I had Walnut Shrimp. The walnuts were crunchy & candied in a yummy sauce over the best prawns, broccoli and brown rice. The prawns were large and succulent. The brown rice was cooked to perfection. Not sticky & not too dry, but perfect. Our other entree was sweet & sour chicken. It was very good too. The cookies served afterward were more like a wonderful pastry than the expected cookie at the end of an American Asian meal. They were shaped like a sea shell and dipped half way in dark or white chocolate with sprinkles & melted in your mouth. Their coffee making apparatus was unique and fun to watch. This is a small shop. They are very friendly here. It was a very nice lunch, wish I had had room to taste their dumplings. 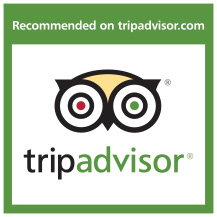 A TripAdvisor reviewer on Facebook High quality food and service. They got some good f'n coffee too! Flourtown, PABest coffee in the WORLD. Dumplings are pretty special too. Tucson, AZBest place in Chinatown! The family that runs Ray's is so friendly and will go the extra mile to see that you're happy. Try the coffee - it's fun to watch them brew. 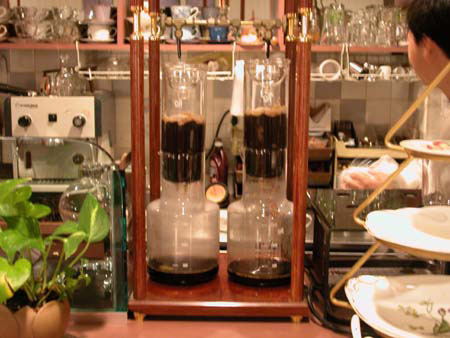 They also have cold brew which they make in large glass contraptions - it's amazing to watch. The food is outstanding - try the leek boxes. All the dumplings are out of this world. I take my friend here when I really want to impress them. It's where the locals go! Franklin, MA Outstanding, cheap food that you would never expect from this small deli-looking place. A true neighborhood find. CitysearchRay's makes an amazing cup of coffee that is served with elegance! 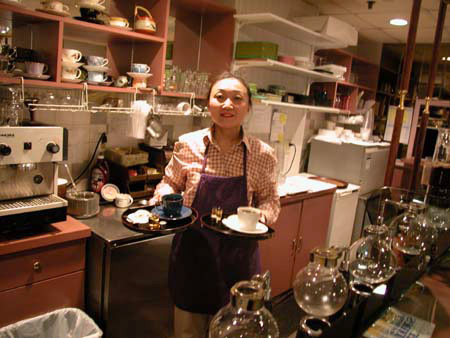 The service is always prompt, warm, and polite. The food is tasty and the desserts are wonderful. It is always a treat to introduce friends to this wonderful place. Flourtown, PAI head to Ray's whenever I'm in Philly for an out of the ordinary coffee and food experience. Try the dumpling sampler or one of the specials. The Iced Coffee is outstanding. If you're bored with the assembly line service and generic treats at Starbucks head to Rays. WE COOK WITH VERY LITTLE SALT. © ray's cafe & tea house inc.